While performing Hajj is it necessary that the Niqaab of a woman does not touch her face while she is in Ihraam?Can she give some charity if she finds this difficult? what is the ruling on wearing the cap niqab during ihram when going for umrah? if someone didnt want to wear it or is not comfortable in it is it permissible for them to wear their normal niqab and then pay some money? 1. 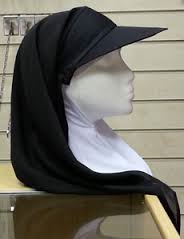 It is commendable to wear the Niqab cap and cover the face without the veil touching the face. 2. It is impermissible for a woman to cover the face duringIhraam. If a woman covered her face with a Niqaab for one complete day or more, that will be considered as a Jinaayah(crime) for which one Damm (sacrilegious penalty) will become compulsory. If a woman had covered her face with a Niqaab for lesser than a day, she should expend some charity (Sadaqah). Is it necessary for a woman to cover her face during Ihram (during Umrah/Hajj)? Will she be excused for not covering her face due to the difficulties associated with niqabs hanging from baseball caps? Inshallah as soon as my state of Ihram is complete, I would wear the Niqab but what about during the days of ihram? The ruling in the Hanafi Madhhab (and even in other madhhabs) is that, although the face is not considered to be part of one’s nakedness (awra), it is necessary to cover it, due to the fitna involved in not doing so. This is the transmitted position in the Hanafi School, as mentioned in virtually all the major fiqh books. Some contemporary scholars have a more lenient approach to this issue, especially for the West. However, my understanding is (according to what I have learnt from my teachers) that a woman is required to cover her face even in the west except in dire situations. Indeed a woman must not have a cloth whilst in Ihram that touches her face. However, at the same time, she should avoid exposing her face in front of non-Mahram men, especially when she is young and when the risk of Fitna is greater. As such, in the presence of non-Mahram men, she should cover her face in a way that no clothing touches her face, by wearing a cap or something else. Even in the days of the Messenger of Allah (Allah bless him & give him peace), the female Companions (Allah be pleased with them) abstained from exposing their faces in front of non-Mahram men. 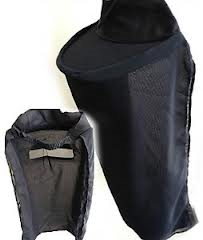 However, if it becomes very difficult, in that it becomes virtually impossible to wear the niqab (even with a cap, etc), and you fear harm onto yourself, then in such a case you will be excused in leaving the face exposed, but try to keep the face away from non-Mahram men whenever reasonably possible. Q: If a woman in the state of Ihraam covers her face, will damm become waajib on her? A: In the state of Ihraam if quarter or more of the face is covered for an entire day or night (i.e. 12 hours) or more then, one damm becomes waajib. If quarter or more of the face is covered for less than one day or night then sadaqa becomes waajib. If less than quarter of the face is covered for an entire day or night or more, then sadaqa becomes waajib.